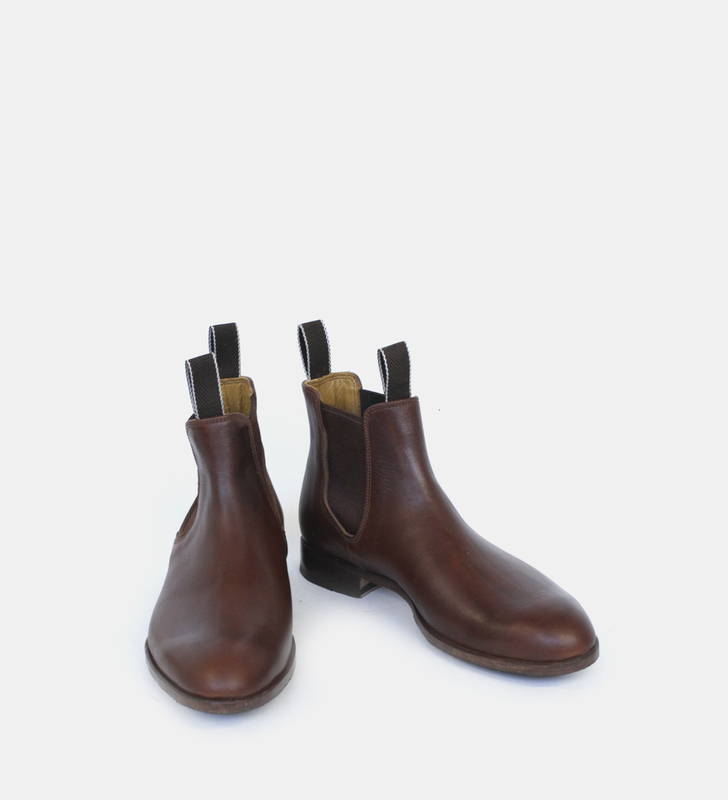 A classic dress boot fit for any occasion. 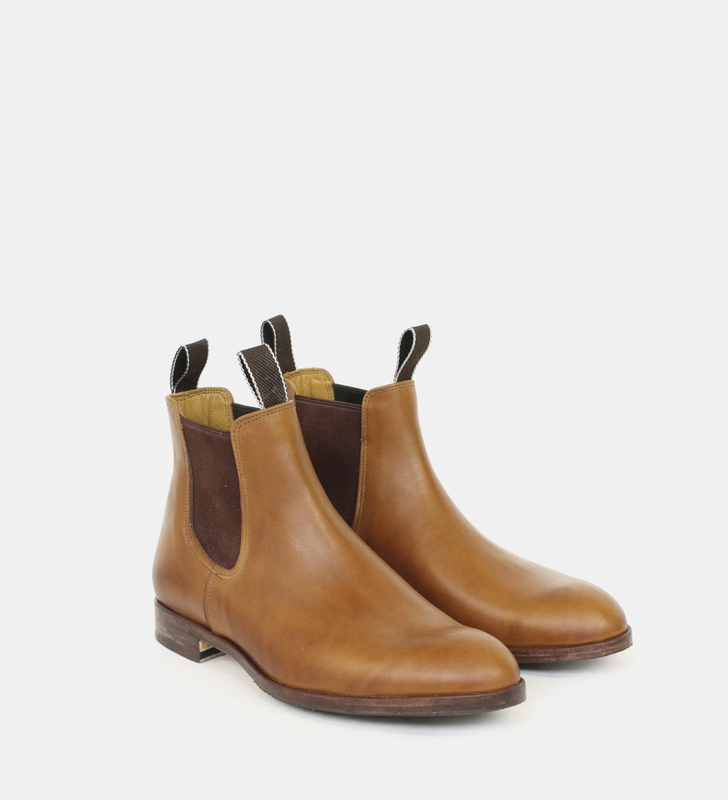 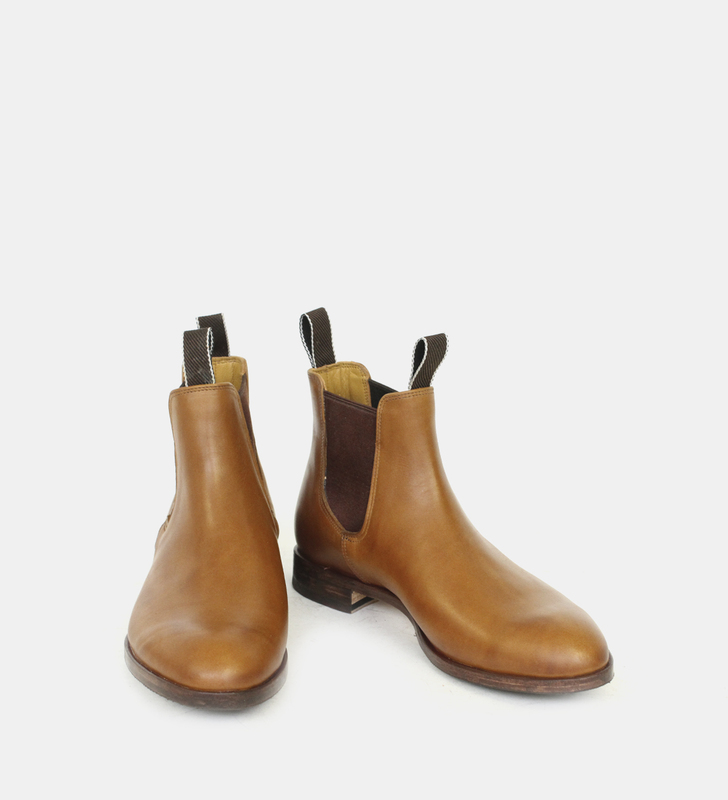 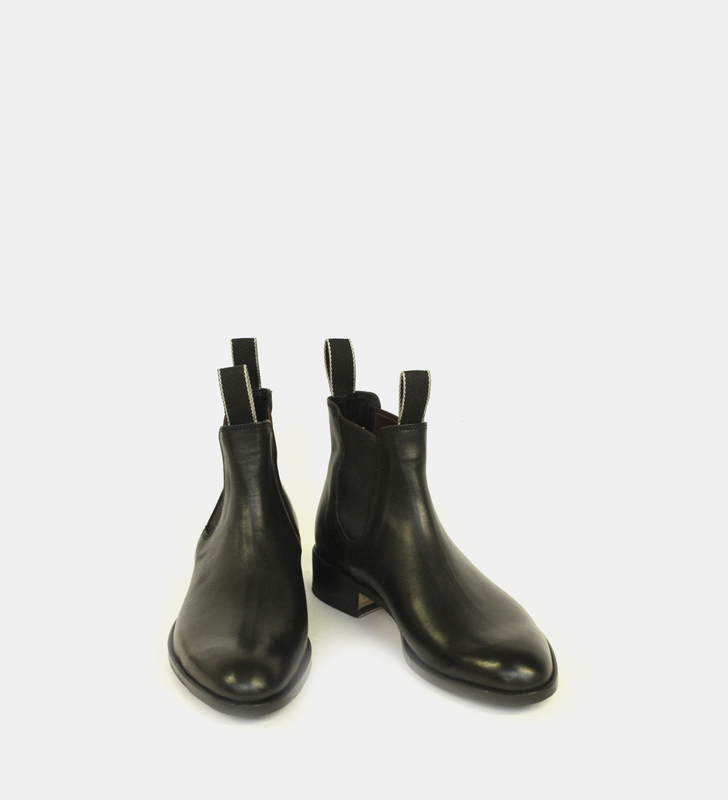 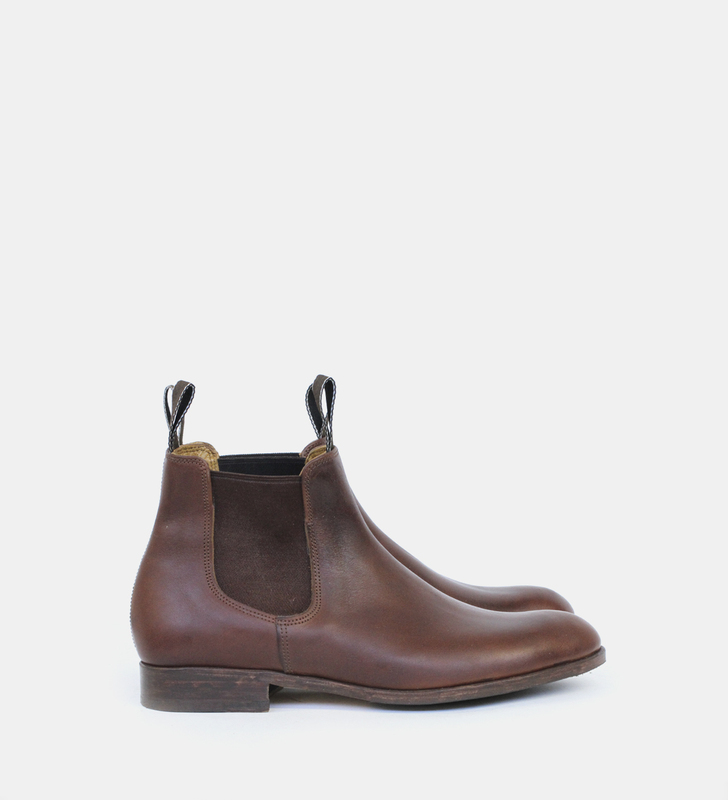 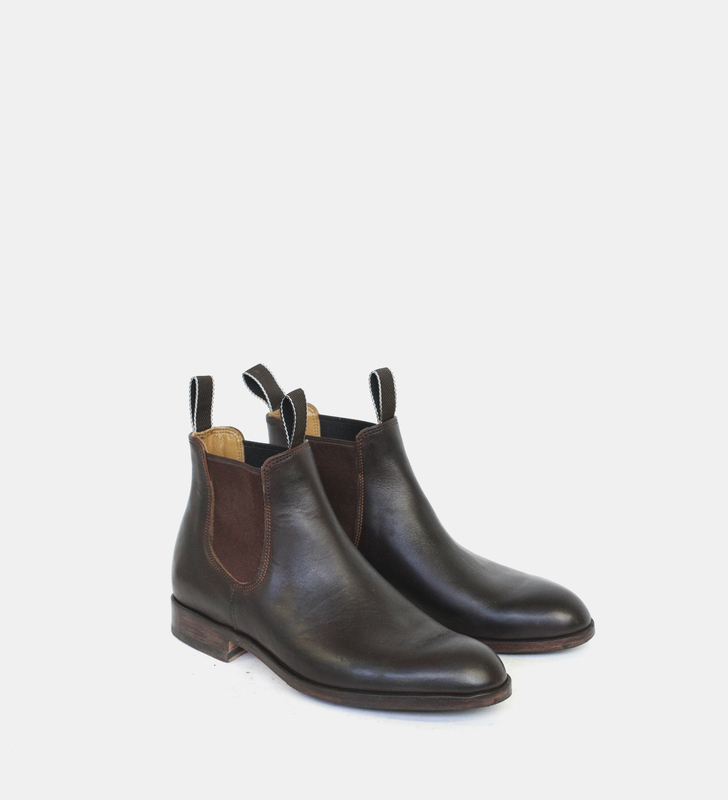 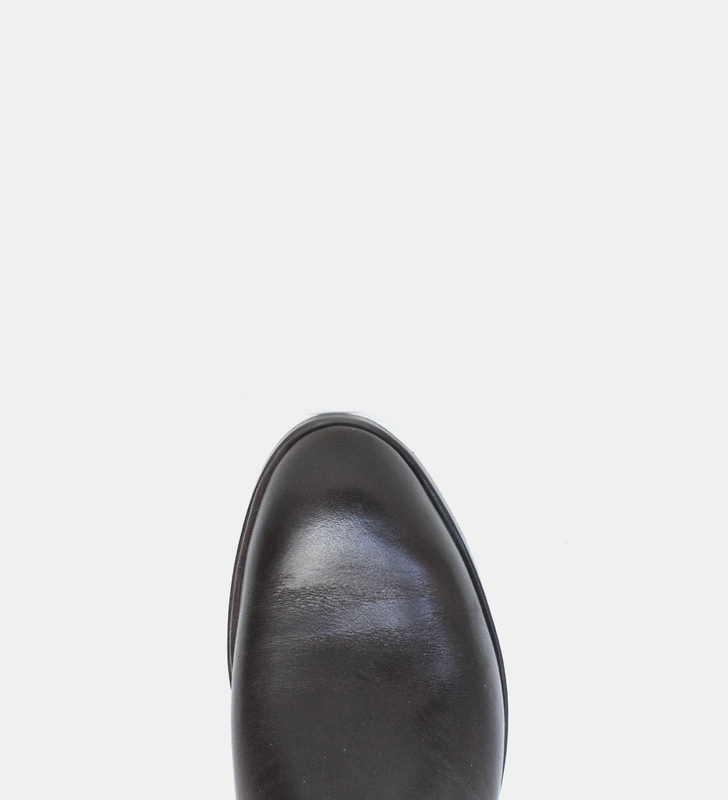 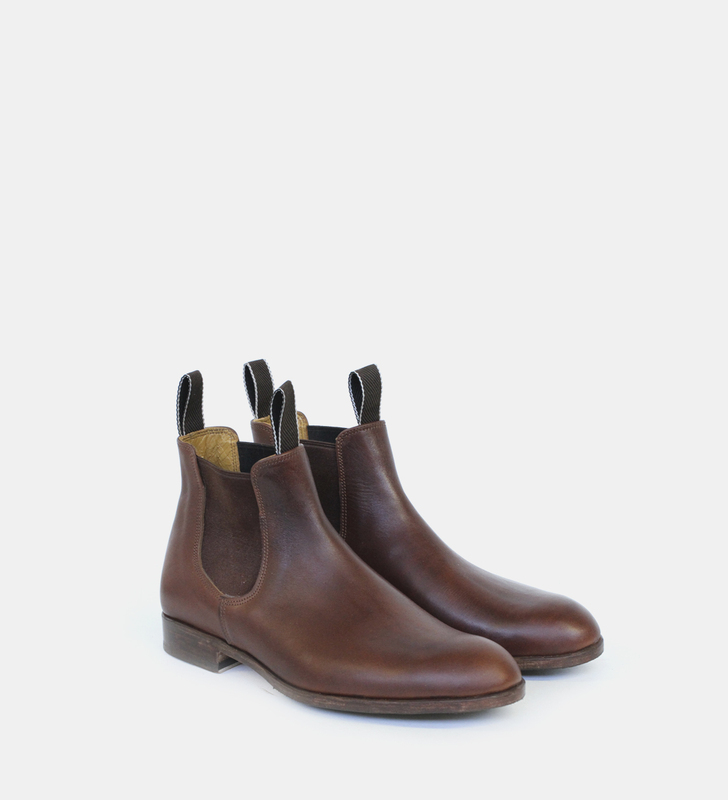 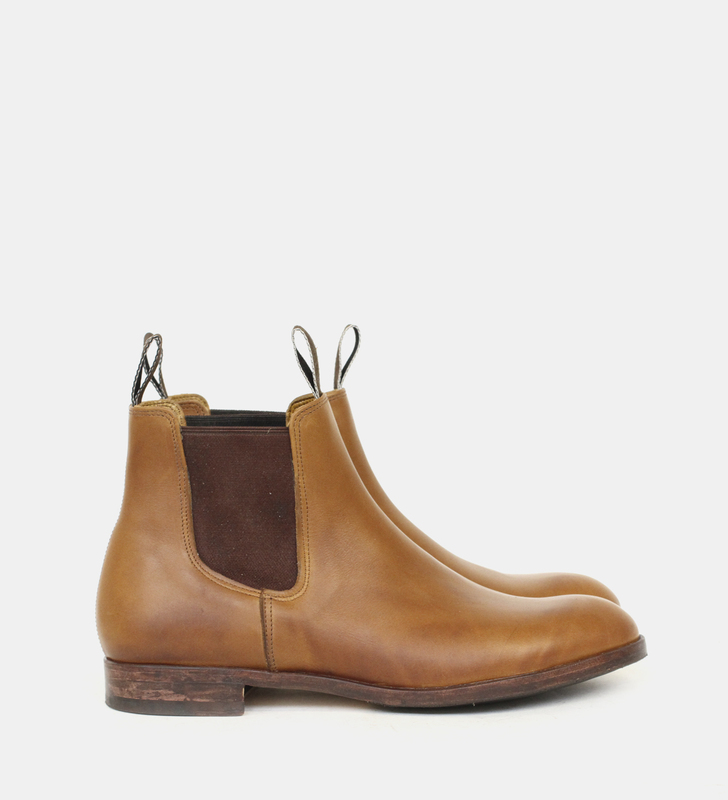 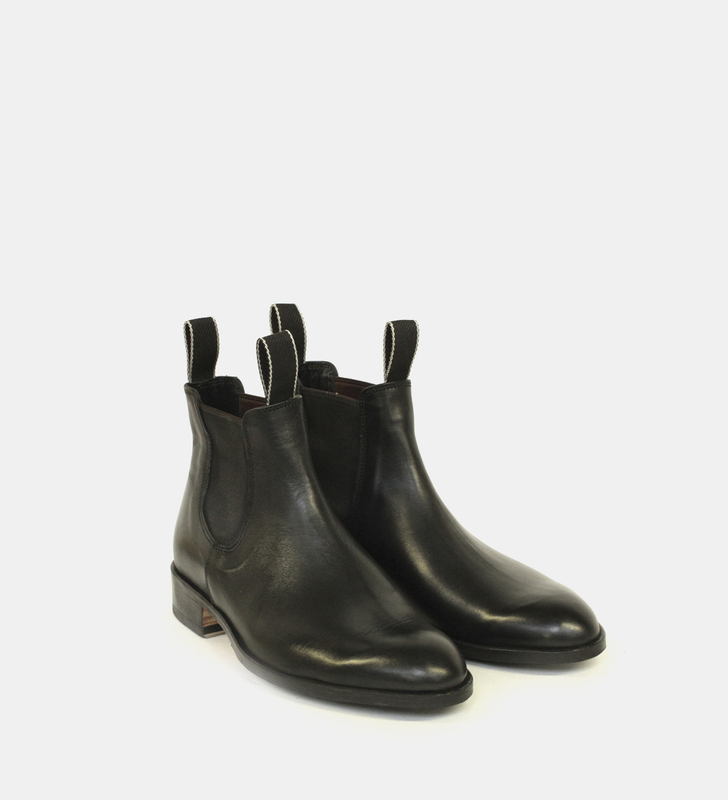 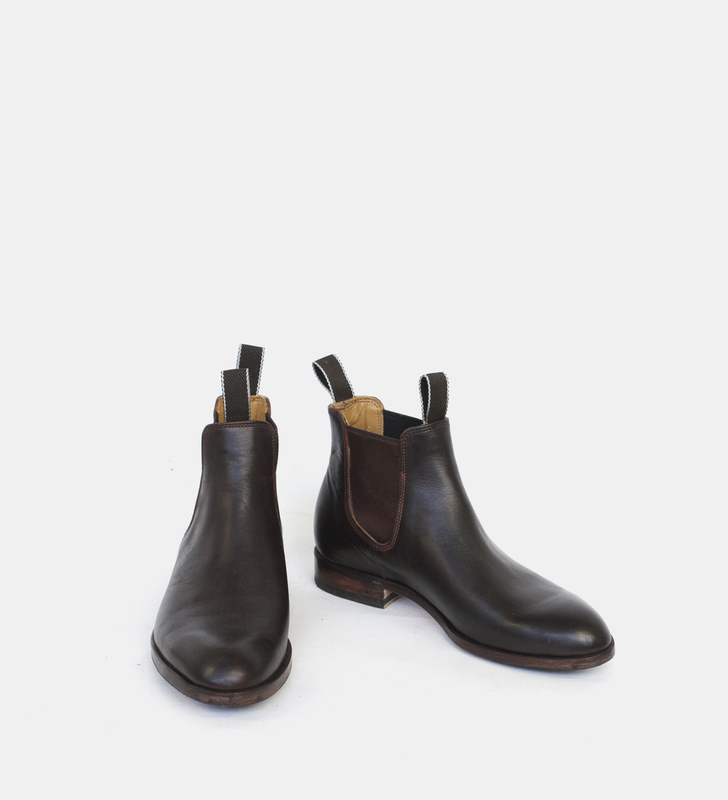 This lined Gusset boot is made using New Zealand bovine leather. 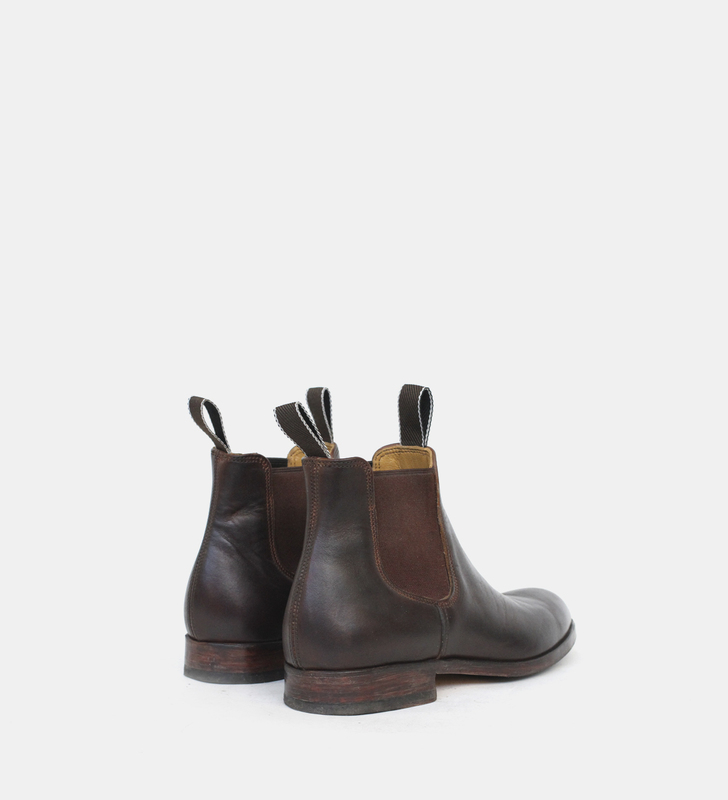 This thick yet subtle leather makes for a durable and comfortable boot that will mould and age with the wearer. 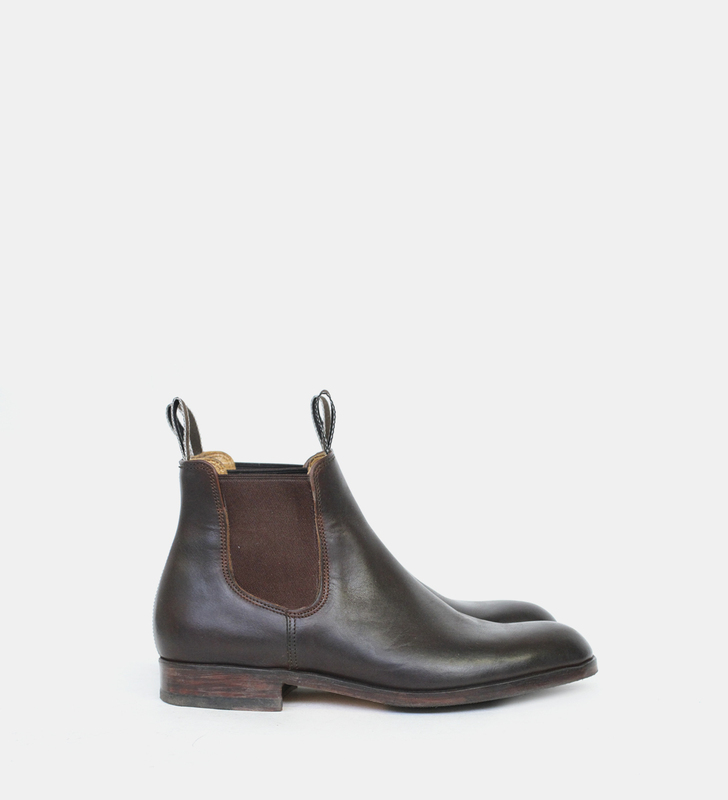 Also available in yearling leather from $750. 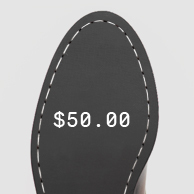 Colours can be limited however. 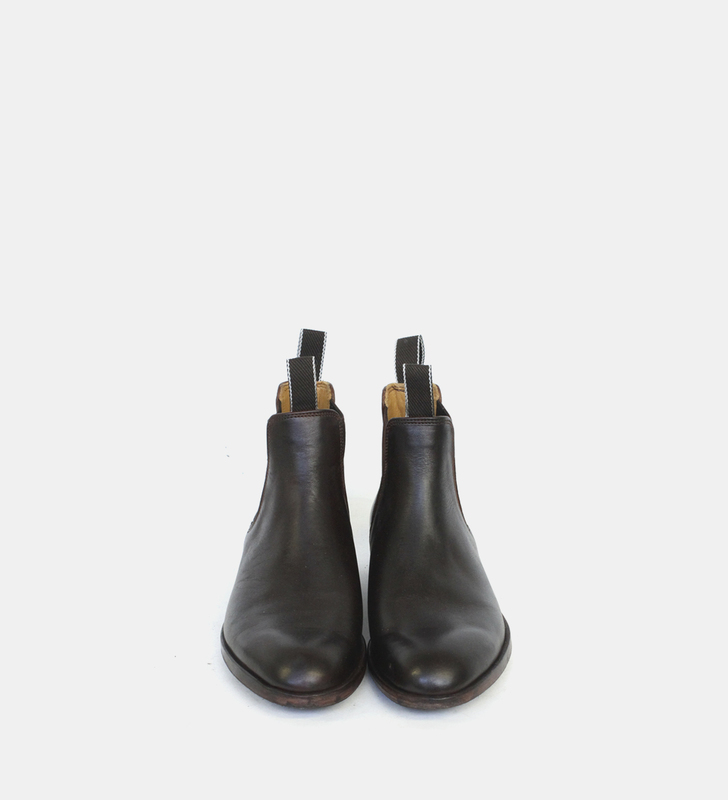 Yearling is used for black or when a dressier finish is desired as it has a smoother grain. 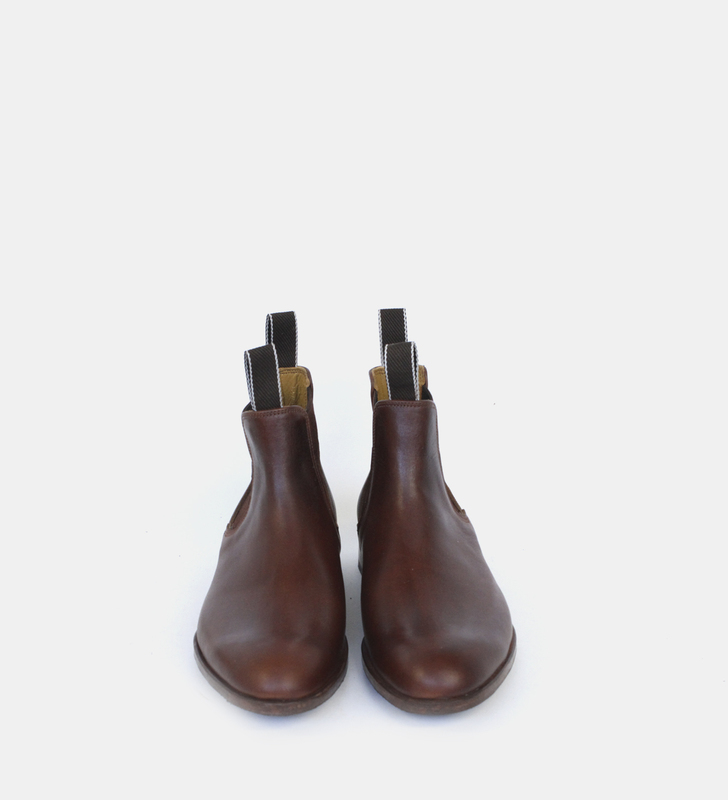 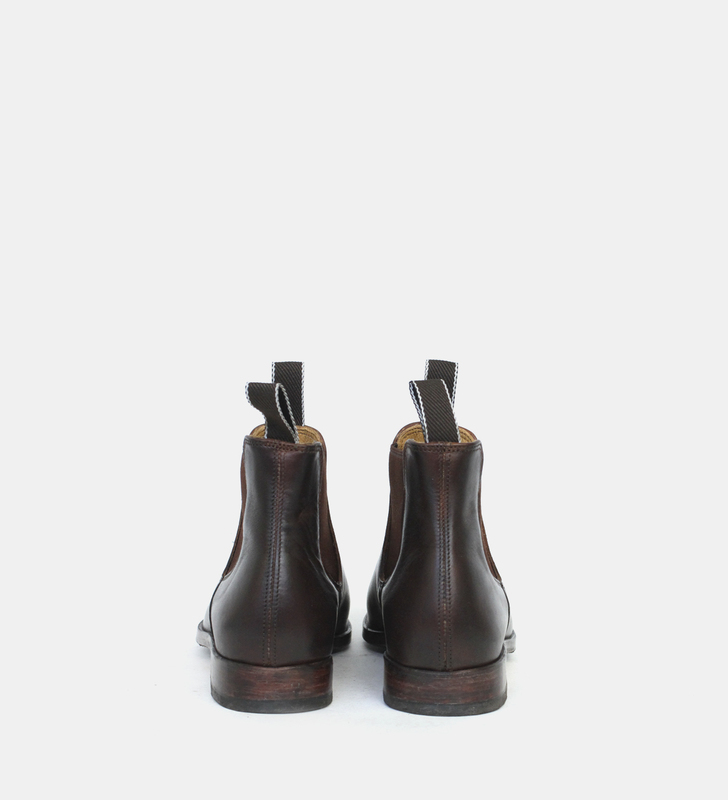 Sole: 5mm English oak tanned, hand waxed brown, Blake stitched or blake rapid leather sole. 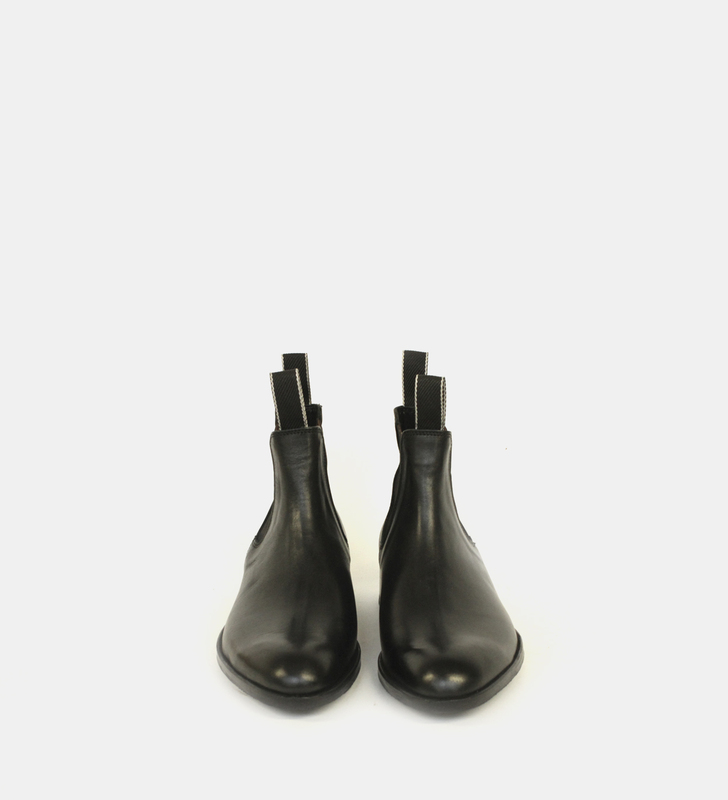 Stacked leather heel, Vibram top piece. 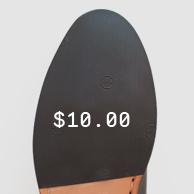 Please note that all our footwear is made-to-order. Lead times can be found in our footer below for leather goods and footwear. 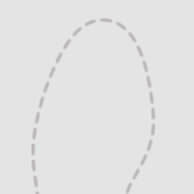 To inquire or discuss any details seen on this page please email or call us to discuss: workshop@wootten.com.au or 03 9510 6503. 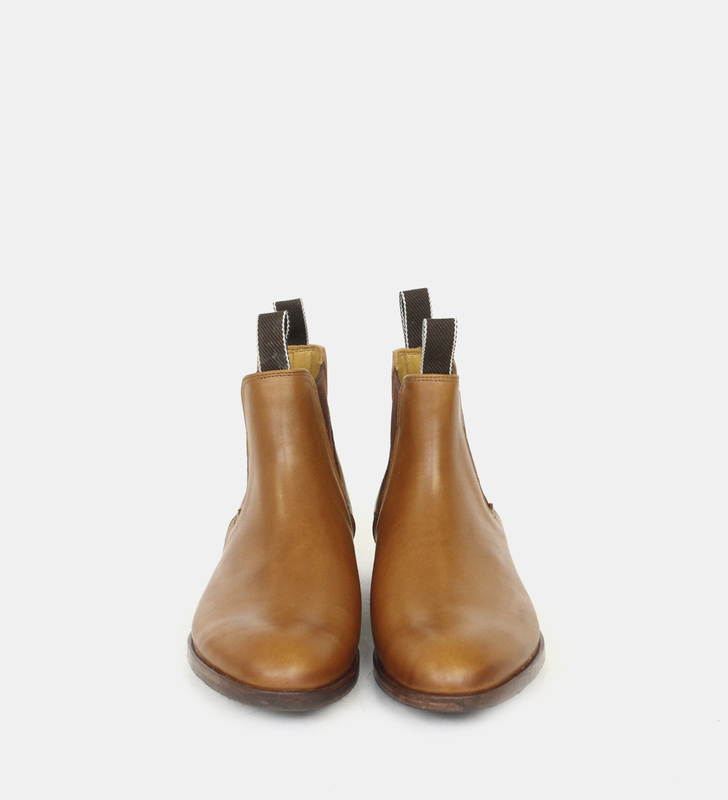 Made on our Ladies Cambridge (almond toe) last (D fitting). 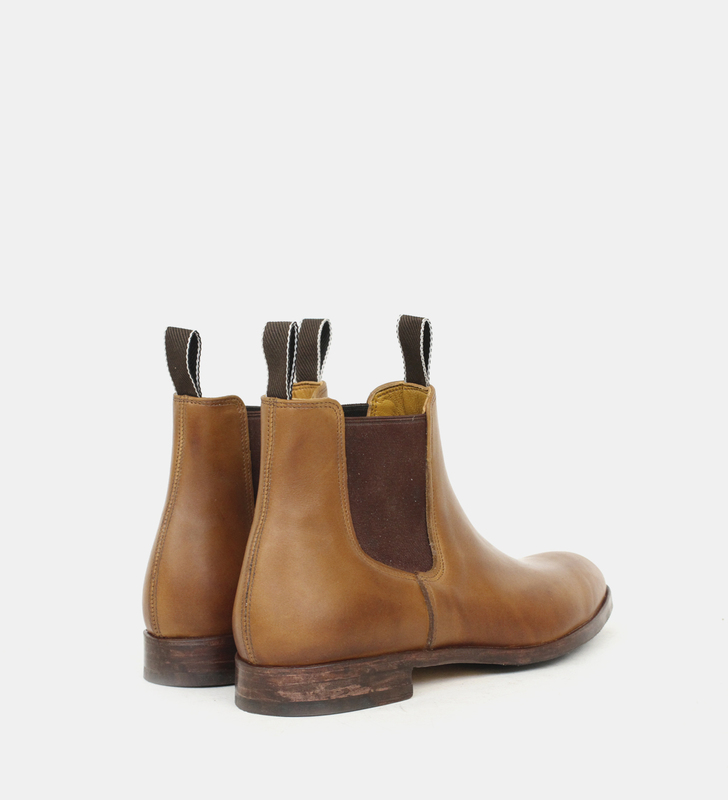 The whisky boot pictured uses our Cambridge last with a blake rapid leather sole (stitching visible on edge). Also available with a blake stitched construction for a finer sole.